It doesn't work as well as a metaphor for how some things in life are irreversible, but scientists have recently mastered a technique for un-cooking egg whites. 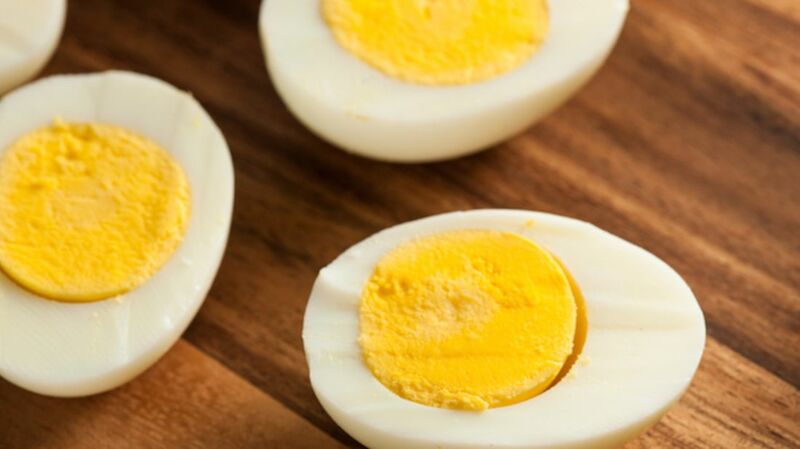 As an egg goes from raw to boiled, the protein in the egg white changes from liquid, transparent, tightly wound individual clumps to solid, opaque, long tangled strands. To "un-boil" it, scientists would need to liquify the structure and then untangle the protein molecules. Which is exactly what a group of researchers out of UC Irvine have done, publishing their findings in the journal ChemBioChem. To start the un-boiling process, the scientists added a urea chemical compound that liquefies the solid substance—but it doesn't untangle things on the molecular level. To do that, they made use of a vortex fluid device, a high-powered machine developed in Australia that works by applying intense stress within thin, microfluidic films to separate the individual protein structures. But re-raw-ifying overcooked eggs is hardly the end game of Weiss' team's research. "It's not so much that we're interested in processing the eggs; that's just demonstrating how powerful this process is," Weiss said. "The real problem is there are lots of cases of gummy proteins that you spend way too much time scraping off your test tubes, and you want some means of recovering that material." The cases Weiss is talking about have wide-ranging implications, including development of cancer treatments, which currently rely on expensive, time-consuming methods that can take up to four days to separate tangled proteins. "The new process takes minutes," Weiss said. "It speeds things up by a factor of thousands."